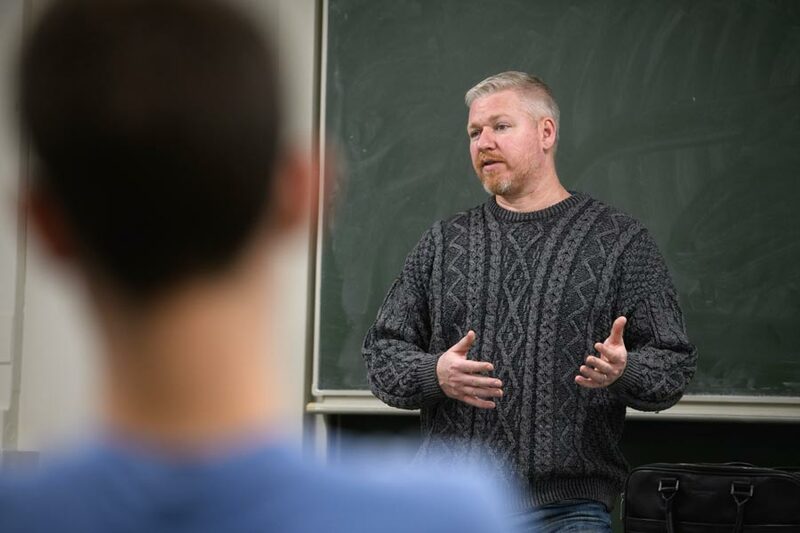 Each semester, professors in Carnegie Mellon University’s Dietrich College of Humanities and Social Sciences offer courses that challenge and benefit students. This sample of courses from the fall semester highlights ways students learned about data and rhetoric in storytelling and politics, as well as how technology is changing warfare. In the age of big data, it’s important to understand how data is collected, transformed and used. Taught by Associate Professor of English Christopher Warren, “Data Stories” is about all of this and more. Students explored cases such as the London cholera epidemic, Google Books, Netflix, the Oxford English Dictionary, the Strava map and the Queen Nefertiti scan alongside several pieces of art and fiction that capture aspects of data stories typically obscured elsewhere. They had opportunities to discuss data in fiction with novelist Robin Sloan and data about fiction with data journalist Ben Blatt. Warren also taught from artist Ingrid Burrington’s “Networks of New York” and took students out of the classroom and into the city to identify different examples of internet infrastructure, such as coaxial cables, Wifi and microwave antennas and data centers. ‘Data Stories’ is one of the core course options for the Department of English’s minor in humanities analytics (HumAn). It combines collecting, analyzing and interpreting data with humanistic scholarship — paying attention to the stories behind the things that make our world. After taking the class, senior Olivia Lynn feels more equipped for her future. 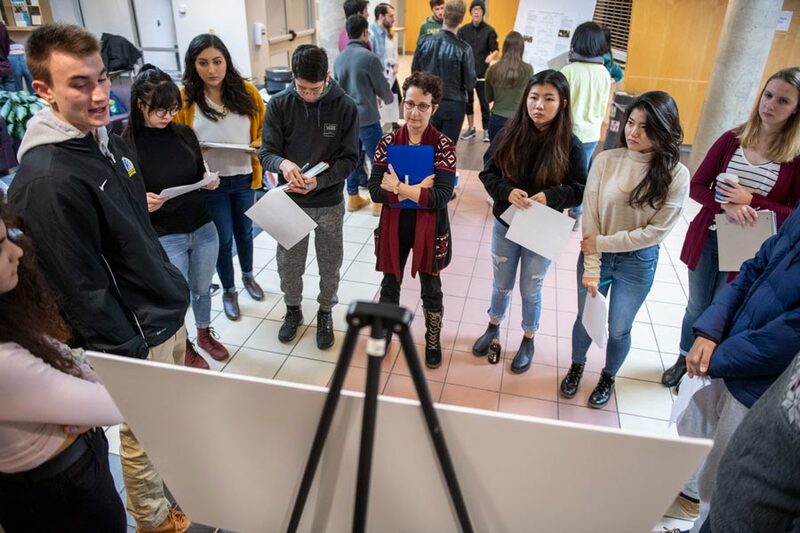 Students also learned about the ways that certain kinds of data sets and data collections systematically privilege some groups of people and harm others. This is what Cassie Scanlon was most intrigued by. From the onset of cyber war to the development of violent non-state actors, the future of warfare is constantly evolving. A teaching professor in CMU’s Institute for Politics and Strategy (IPS), Colin Clarke spent the past 10 years with the RAND Corporation conducting research on the future of warfare for the Department of Defense. That’s where he pulled inspiration from for this course. “There’s just such an urgent need to understand the way technology is changing in warfare. I say that not only because the United States needs to be able to prevail in future wars, but also to use technologies as a deterrent to prevent war,” Clarke said. Each class opens with a discussion of current events plucked off of the front page of the news. Aimed at undergraduate and graduate students in IPS and students in the Master of Information Technology Strategy Program, this course cuts across multiple disciplines. Learning alongside students from different areas of study is helpful for John Trezza, a graduate student in the Institute for Software Research. “I am very interested in the strategic questions that get raised by the course — questions about what urban warfare will look like in megacities, or whether the U.S. should consider developing autonomous weapons for future engagements. I am less familiar with some of the technical aspects, however, so I find it very insightful to have fellow students who can talk about emerging technology and help address issues such as the viability of AI or machine learning solutions,” said Trezza, who will be serving in the Navy after graduation. The course is also beneficial for those with military backgrounds, like 2nd Lt. Emily Peterson. “As a junior officer in the Marine Corps with a technical background in engineering, I decided to take this course to illustrate how these two realms overlap. It has successfully done so, introducing me to a plethora of arising issues including security and privacy, cyber technologies, autonomy, AI and machine learning and their subsequent existing and potential military implementations in weapons, equipment and logistical concern,” said Peterson, who is also a graduate student in the Institute for Software Research. This course is beneficial for students exploring the new undergraduate minor in cybersecurity and international conflict launched this fall. The minor tackles the social-scientific dimensions of cybersecurity with a focus on the implications of the cyber age for modern statecraft, warfare, elections and politics, more generally. Engaging in discourse and debate about political issues is essential when it comes to making wise decisions about the country’s future. Doing so isn’t always easy, but students who took “Political Rhetoric” this semester are prepared to navigate these conversations. 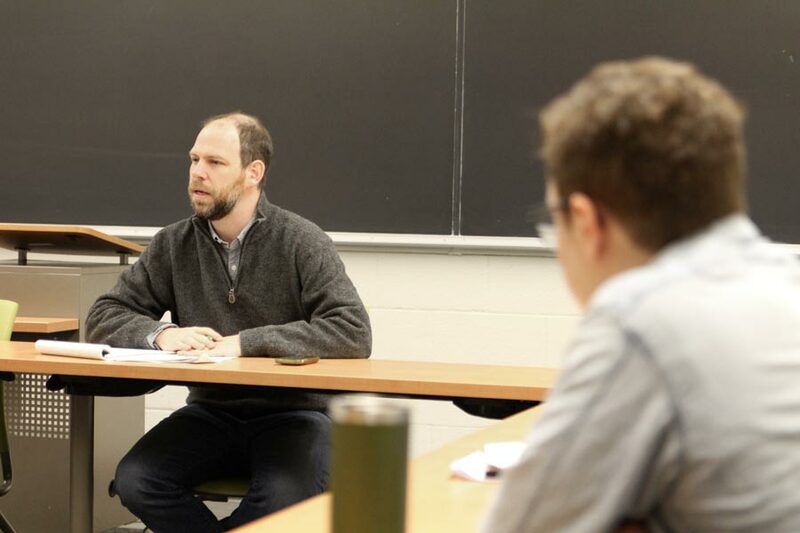 A first-year Grand Challenge Seminar, “Political Rhetoric” is taught by faculty across the Dietrich College, including Mara Harrell, teaching professor and director of undergraduate studies, and Mandy Simons, professor, in the Department of Philosophy; John Oddo, associate professor in the Department of English; and Daniel Oppenheimer, professor in the Department of Social and Decision Sciences. With midterm elections taking place during the fall semester, the faculty incorporated current events in the classroom. When students are faced with different forms of political rhetoric, the faculty hope they’ll use this course to help shape their understanding. “What we hope students will take away from this course is an understanding of how political rhetoric works, so that when they find themselves watching a political ad, listening to a speech or following an exchange on Twitter, they'll be able to ‘see through’ the rhetoric and see where, perhaps, substantive debate is being avoided or where they are being encouraged to identify with one side of a two-sided issue,” Simons said. Pictured top: Christopher Warren teaching his “Data Stories” course. 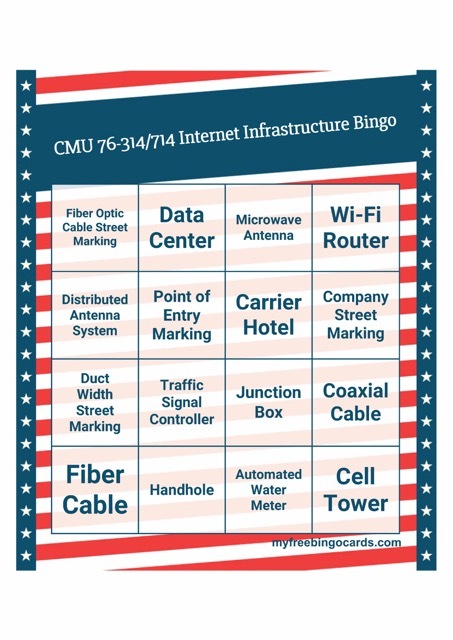 Pictured second: The bingo card students in the “Data Stories” course used for their lesson on internet infrastructure. Pictured last: Mandy Simons attending the end-of-semester poster presentation for the “Political Rhetoric” course.